The state of our mental health is the prerequisite of our success yet we often put the care of our mental health on the back seat. When stress goes unmanaged that further develop into depression, we often dismiss it as simply stress or being fatigued when the reality is far more serious and more prevalent. A report by the National Institute of Mental Health (NIMH) shows that 16.2 million adults and 3.1 million teens (ages 12-17) have had at least one major depressive episode. A statistics that warrants attention and solution as depression that goes untreated or managed can result in severe injury or death. What the report does not notice is that while depression is an issue that gets a spotlight in the media, it is a topic that often gets swept under the rug among men. A tendency that can be attributed to the stigma that men with mental health condition are seen as weak and less of a man. Conversations will break the stigma as the more men openly talk about mental health, the weaker the stigma become and that will enable all of us to save lives. We have lost good men to depression and suicide. Men like Robin Williams, Chester Bennington and Anthony Bourdain who could impact more lives if not for the grip of depression. Adhering to the stigma can only save reputation but silently it will kill. 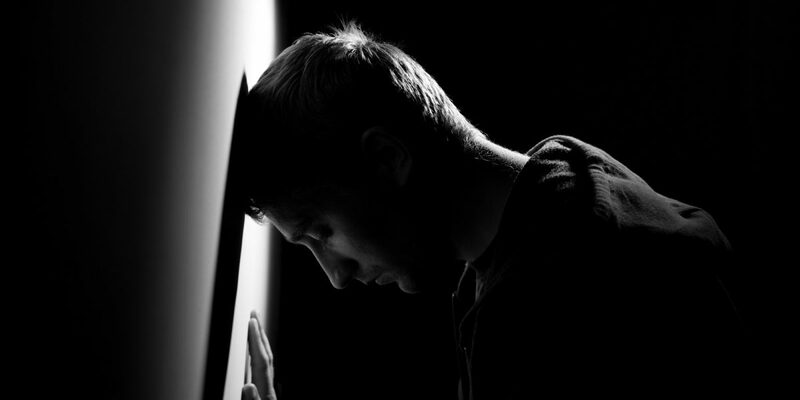 The biggest challenge with treating depression among men comes from the inability and sometimes refusal to properly recognize their changes in behavior as symptoms of depression. Dr Funke Baffour, an associate fellow with The British Psychological Society, stated that “men tend to be less adept at recognizing symptoms of depression than women.” often denying the symptoms and disguise them as other behaviors. The symptoms then flies under the radar, appearing only in sporadic moments. Thus, it is important to stay vigilant on the frequency of the symptoms in their day to day activities as they would often disguise themselves in other behavioral patterns. Remember that with depression these symptoms do not subside easily, they persists. Thus pay very close attention to the changes in your behavioral patterns and to what your loved ones are sharing with you. Depression tells you that you are unable to be at your best and be around other people. However, the lies it tells you are not permanent and the cycle of depression can be broken. There are actions that you can take to make sure the grip of depression will no longer control your life. Remember that depression can be overcome and if you are or someone that you know are having suicidal thoughts, call 1-800-273-8255 and they will lend an ear to hear the burden you are carrying.